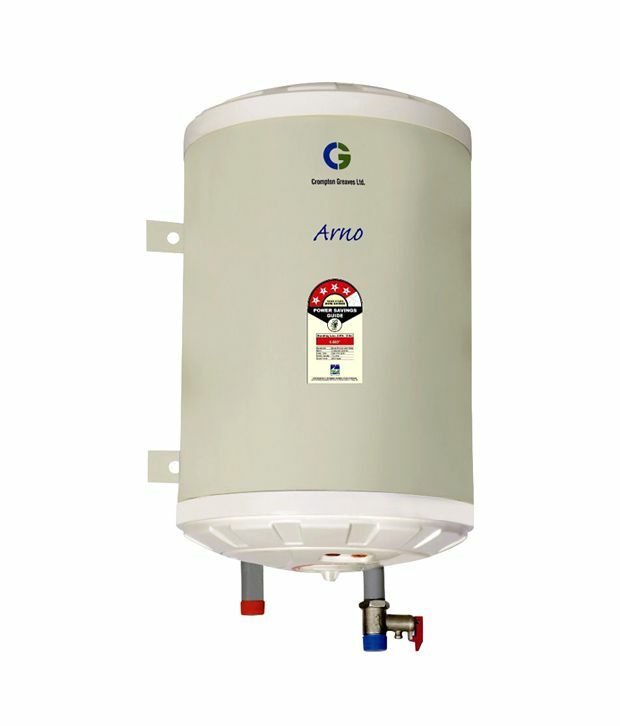 Crompton RuASWH606A-IVY Arno Water Heater is a Rust Proof ABS Body with Incoloy Heating Element. 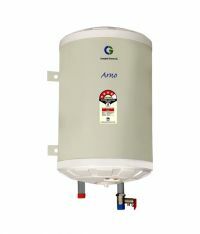 This 6 litre geyser is easy to install and completely safe. It is 5 Star Rating and 8 Bar Pressure. The Nano Polymer Coated Tank. Rust Free ABS Body - Outer body is made of high grade specialised ABS to ensure rust free Body. Energy Saving Insitu PUF Insitu - PUF will minimize radiant heat loss and save your energy bills. Special Type Heating Element ISI marked nickel coa ted copper to provide resistance against salts and corrosive particles. To Recieve updates and possible rewards for Crompton Greaves ASWH610A-IVY please sign in. To Recieve updates and possible rewards for Geyser/Water Heater please sign in.